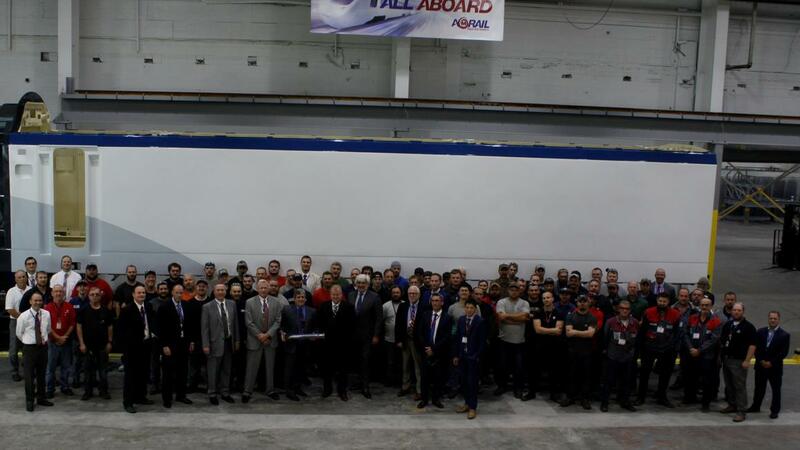 Alstom and Merrill Technologies Group have celebrated the completion of the first powercar bodyshell for Amtrak’s future Avelia Liberty trainsets. Ordered in 2016, the new 28 next-generation trainsets will replace the existing Acela Express fleet on Amtrak’s Northeast Corridor. Approximately 175 workers at Merrill’s Alma, Michigan, facility are manufacturing the 56 bodyshells for Alstom. The first bodyshell will arrive at Alstom’s passenger rolling stock centre of excellence in Hornell, New York, in the coming weeks, where Alstom will complete the manufacturing of the powercars. The new trainsets will be 95 per cent Made in America and will create 1,000 direct and 300 indirect jobs. Alstom North America senior vice-president Jérôme Wallut said: “We proudly celebrate this project milestone, not only with respect to supplying Amtrak with new trainsets, but also the emergence of a high-speed rail manufacturing industry here in the U.S..